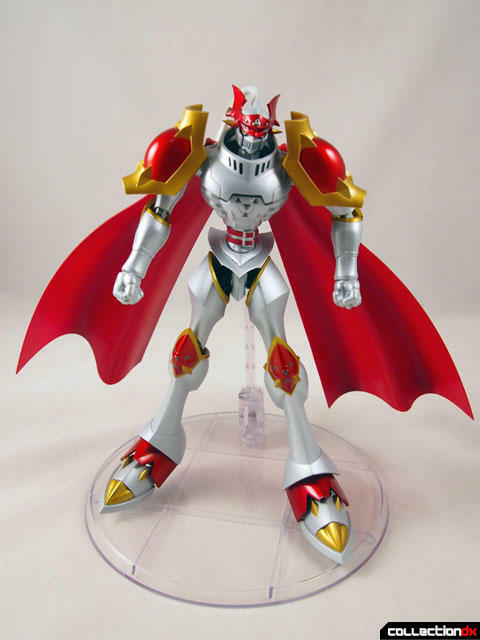 Dukemon is a Digimon - or Digital Monster, a virtual creature that protects the networks of the Digital world. 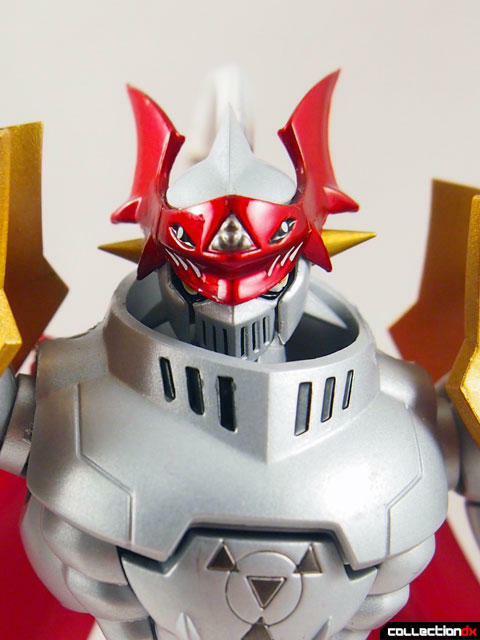 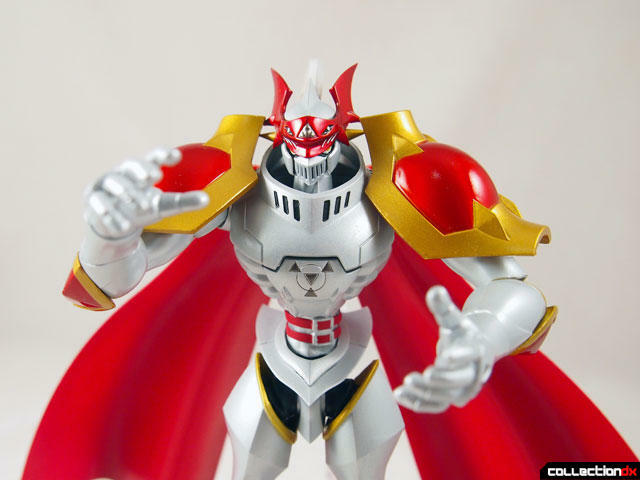 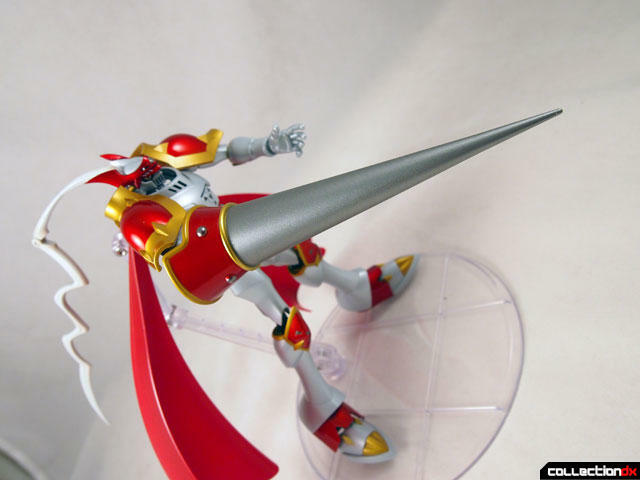 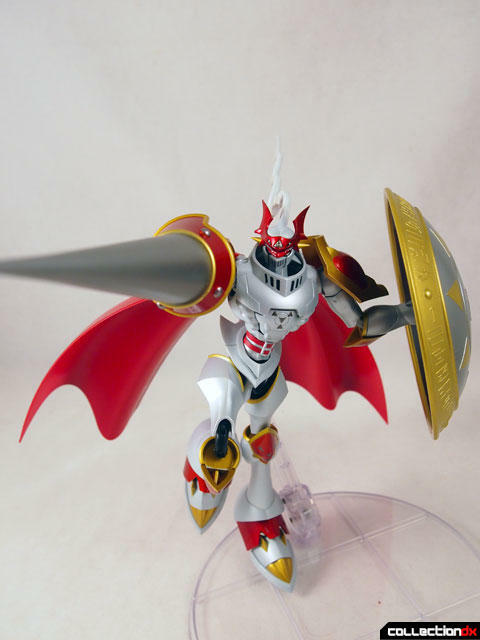 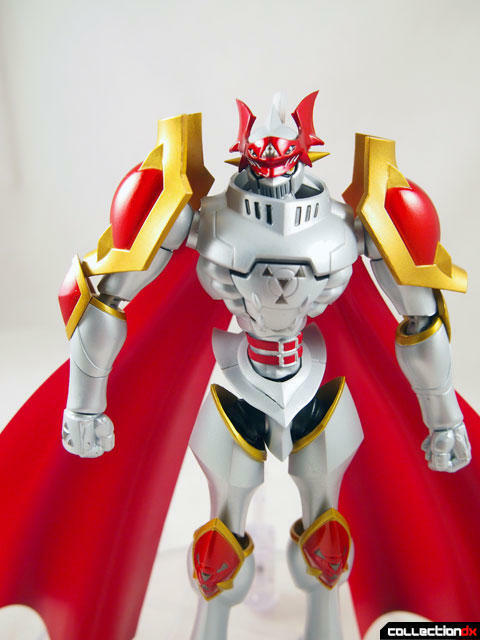 He's a holy knight of the Royal Knights alongside Omegamon (reviewed here). 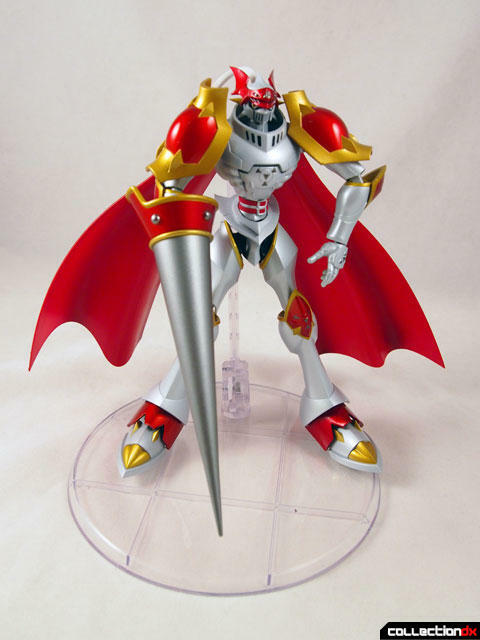 This D-Arts release is a very simple action figure that captures the smooth, dynamic lines of the character. 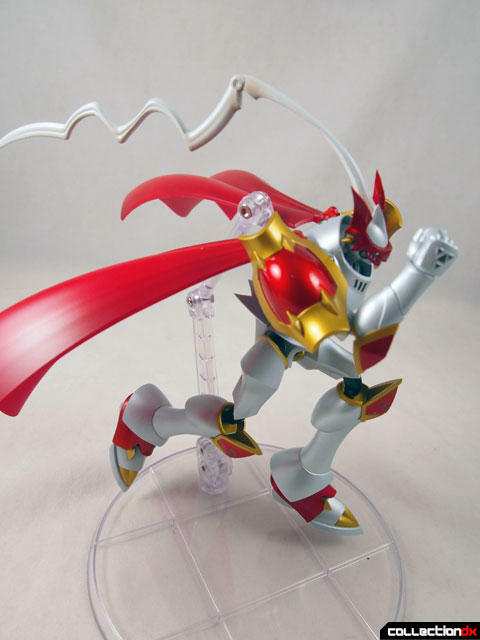 Dukemon looks cool whether you are into Digimon or not (i'm not). 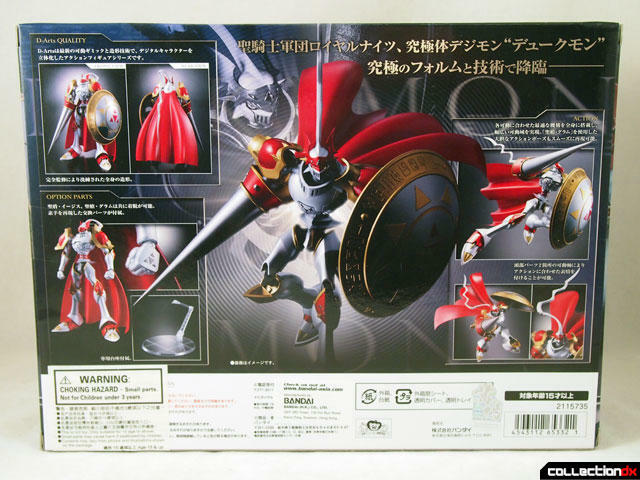 You need to attach the cape to the back and he's ready to go. 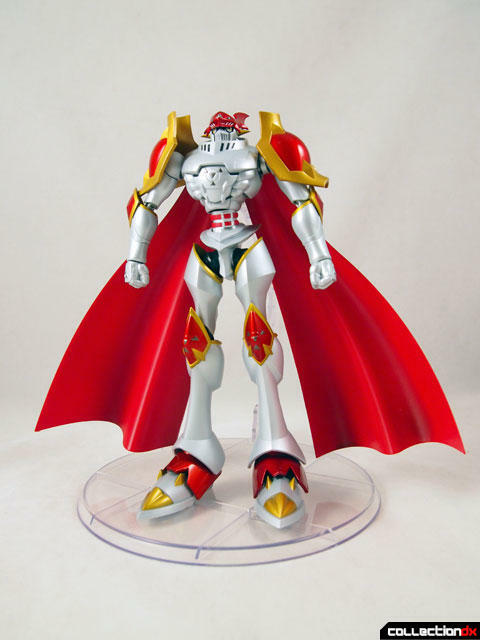 It's tricky to get him to stand due to the cape weight, so using the stand is recommended. 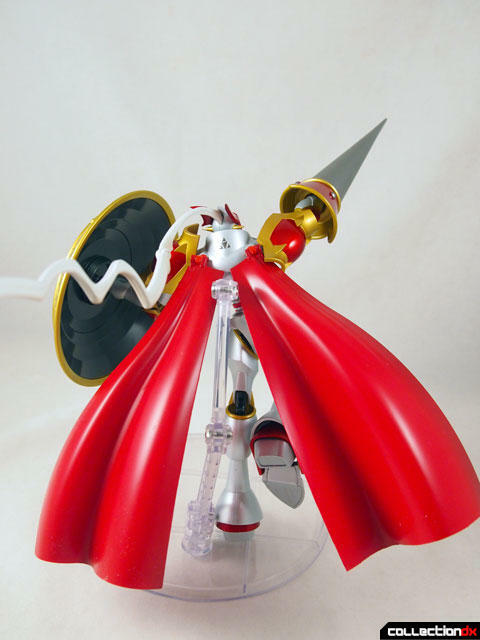 The head is really nicely detailed, and the long flowing articulated hair piece is nice as well. 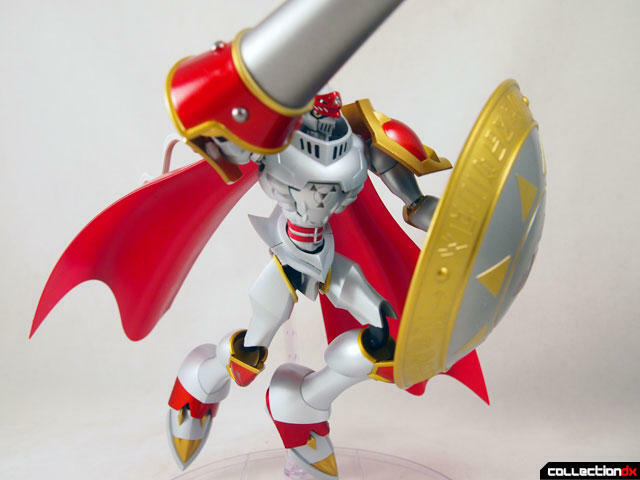 The stand allows you to put Dukemon into dynamic poses that you can't do otherwise. 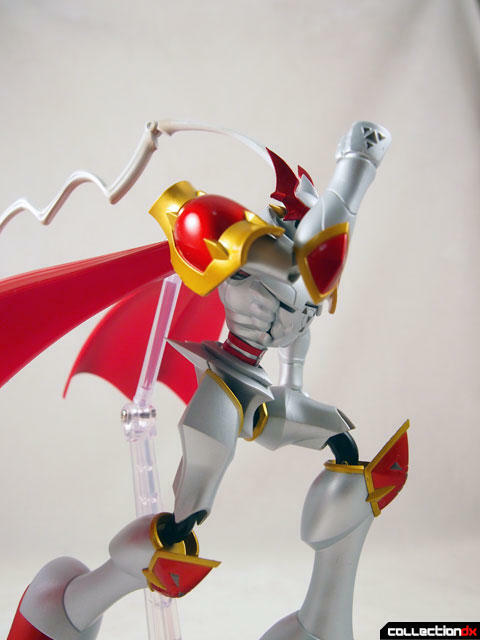 Here is Dukemon doing his "Hold the Ball" Tai Chi move. 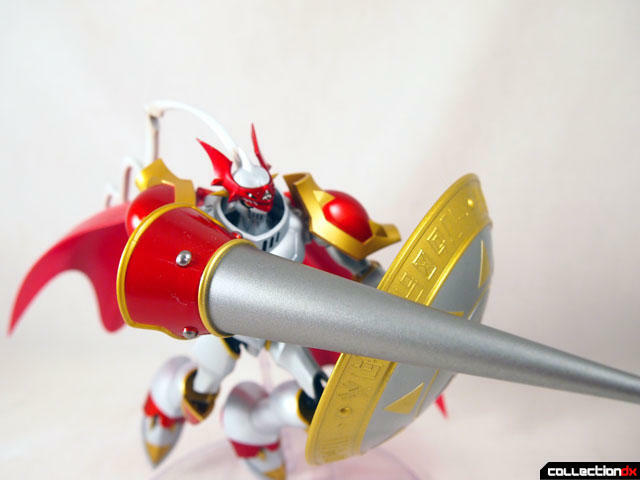 You can attach the lance to the right arm simply by removing the arm at the elbow. 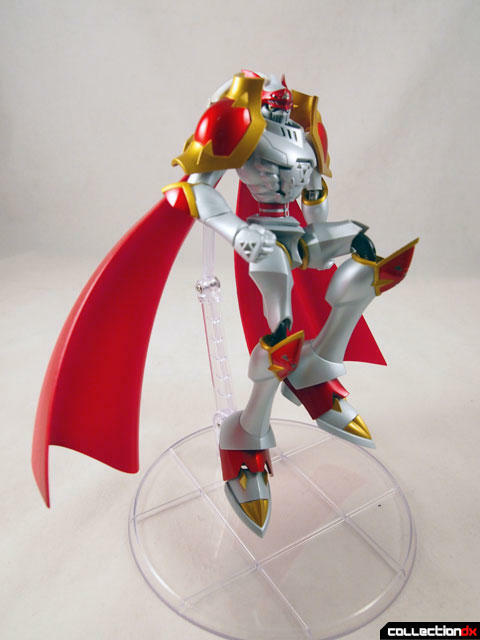 It's rather large and you need the stand to hold it up. 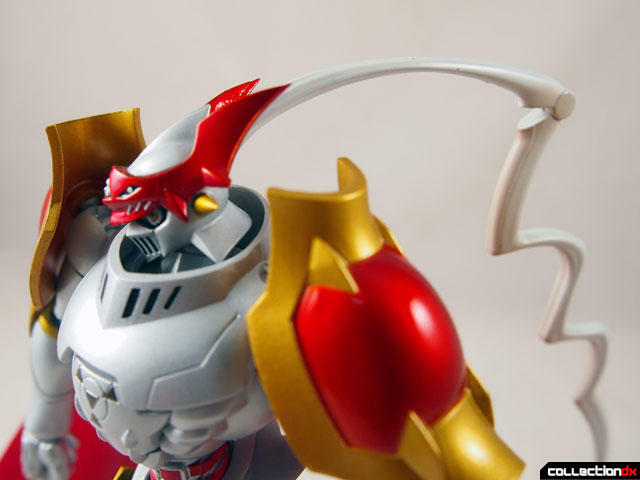 The elbow is tight enough so it does not bend under the weight. 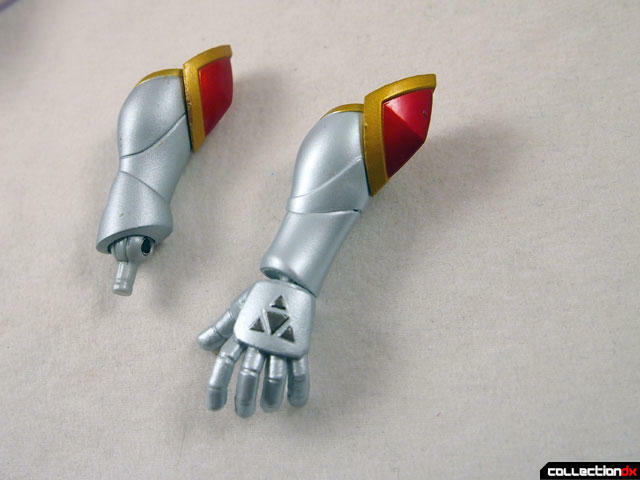 The left arm comes with an alternate forearm used to attach the Aegis shield. 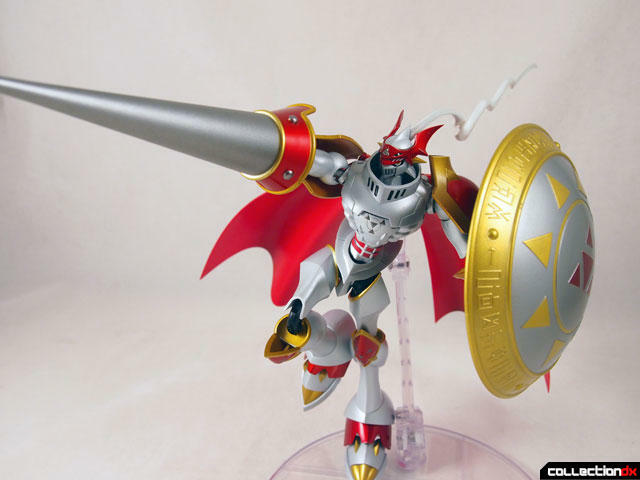 With both weapons enabled, Dukemon is a badass defender of Network Security! 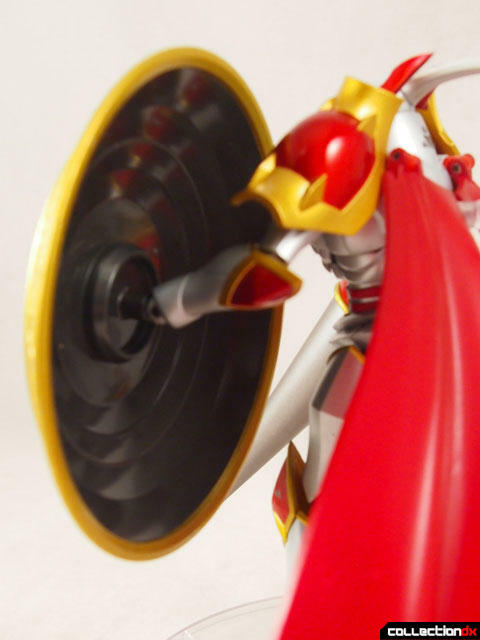 A minor issue - the capes do not allow for the stand to be attached, so they have to spread out to make room for the connector. 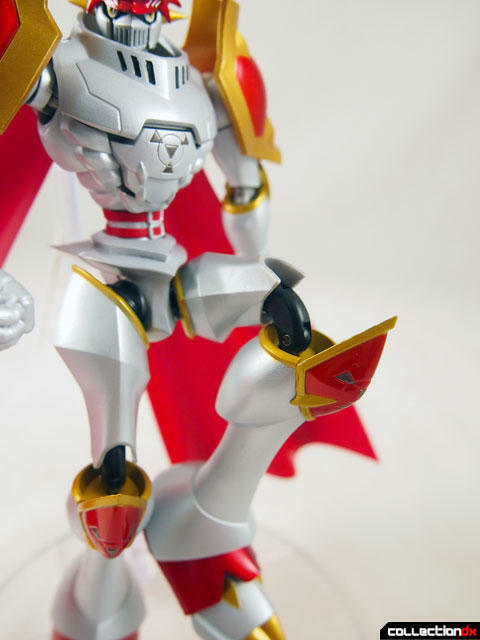 Overall though a nice piece and a worthy compliment to Omegamaon. 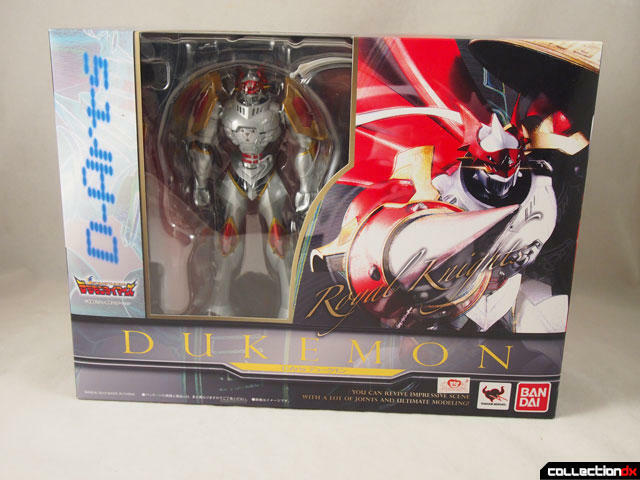 Dukemon is available from Angolz.com. 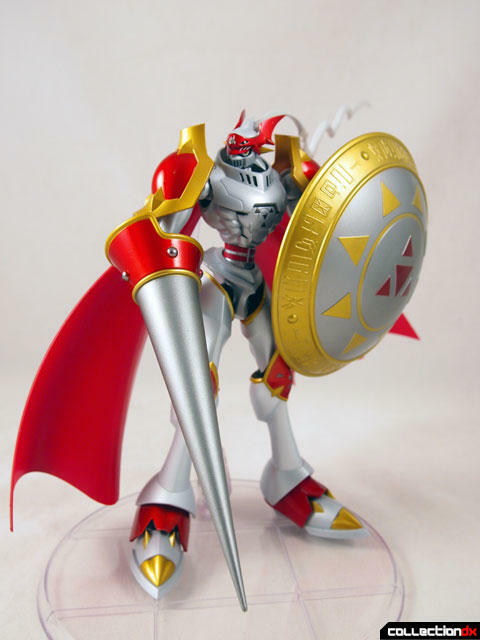 Loved seeing him and Omegamon in X-evolution. 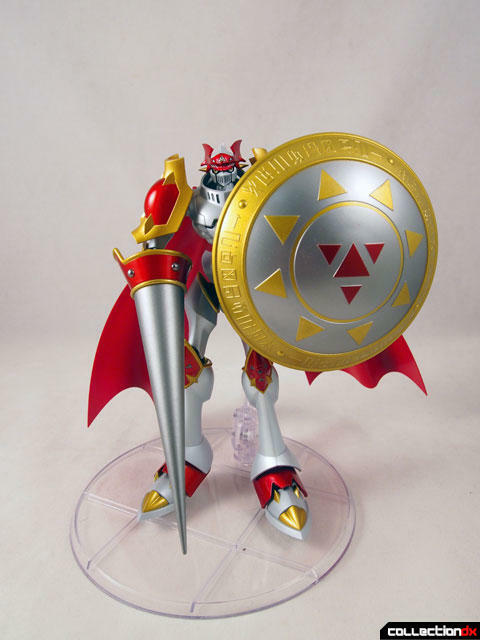 Here's hoping more characters from that movie get made into D-arts!